Tinnitus (pronounced TIN-ih-tus) is when you hear sounds which originate in your head and not out in the world. The most common sounds are ringing, humming and buzzing. The sound may always be there, or it may come and go. It can be in both ears or just in one ear. One in 10 U.S. adults suffers from tinnitus – and most people are told that nothing can be done, and they’re never offered a treatment solution. But there is help available. Our team of audiologists and tinnitus doctors uses customized sound therapy to treat your symptoms and relieve your discomfort. We’ve helped hundreds of patients with their tinnitus and we’d love to help you, too. People with tinnitus often have some hearing loss, and sometimes also suffer from loudness hyperacusis - when moderately loud sounds are perceived as being very loud. Tinnitus can become serious enough to impact your everyday life, so it's important to have it evaluated by an audiologist or physician as soon as you notice it. Sound Therapy - Background noise has been shown to diminish the prominence and loudness of tinnitus in many people. Some wearable devices can be worn with or without hearing aids to mask the sound of the tinnitus. Non-wearable devices are very popular also – they include fans, music and noise machines with sounds like waves or raindrops. Counseling – Counseling can help people manage the side-effects of tinnitus, including its impact on concentration, sleep, thoughts and emotions. Tinnitus Activities Treatment is a type of individualized counseling focused on each of these areas. Most people who suffer from tinnitus also have some hearing loss. Using hearing aids doesn't just improve overall hearing, including speech and other environmental sounds, but hearing aids reduce the strain to hear speech, and this can reduce the stress that people with tinnitus feel from straining to hear over the ringing or buzzing in their ears. Also, hearing aids amplify background sounds, which can partially mask the tinnitus. 28% of people who used hearing aids reported a moderate to substantial reduction in their tinnitus when they used their hearing aids. 66% of people who wore hearing aids said that it alleviated their tinnitus most of the time, and 30% of people said that hearing aids alleviated their tinnitus all of the time. The more comprehensive the hearing aid fitting protocol that was used, the more relief the patients had from their tinnitus. 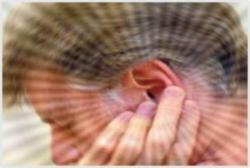 Tinnitus can be a stressful condition for many people. But there are a lot of new developments in the treatment and management of tinnitus. Talk to your audiologist or tinnitus doctor about what approach would work best for you, to help you enjoy hearing again.